Located near Forum Mall, this flagship hotel offers a modern hotel with contemporary decor and a host of amenities for the smart traveller. The rooms are well-lit, and the shades of the wall complement the overall design of the space. The patterned cushions look nice and the stylish headboard adds to the warm vibe of the room. 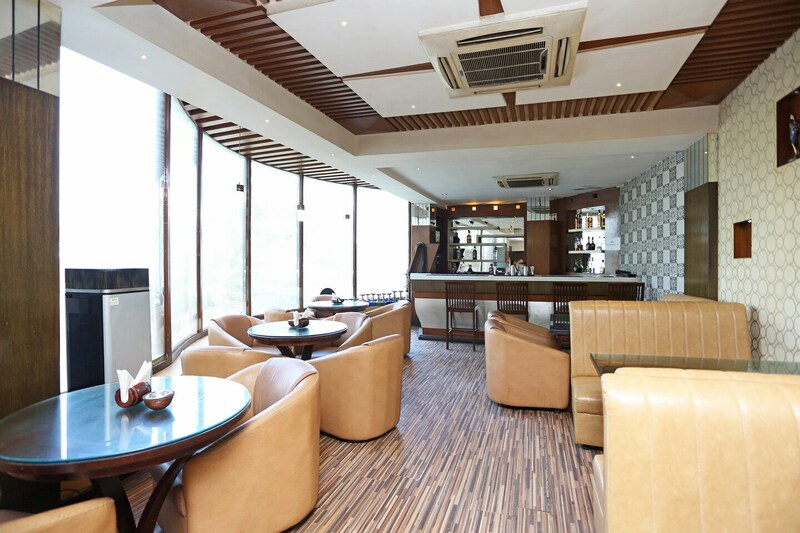 The property features a common seating space, conference room, restaurant, banquet hall and a bar, making it a suitable host for events. Other facilities offered by the hotel include parking space, elevator, laundry and power backup, ensuring a comfortable stay for the guests.